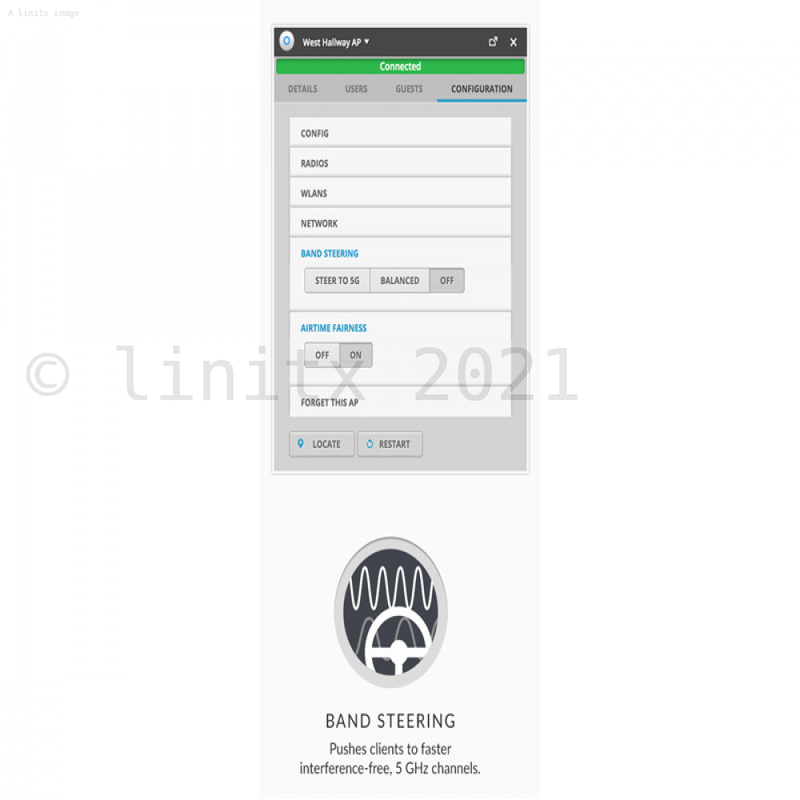 240 arriving 26-Apr-2019 eMail us to reserve stock. 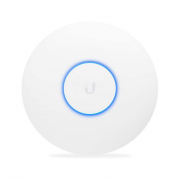 The Ubiquiti Unifi AC Pro Wireless Access Point (UAP-AC-PRO-5) brings the latest UAP dual band technology at an affordable price. 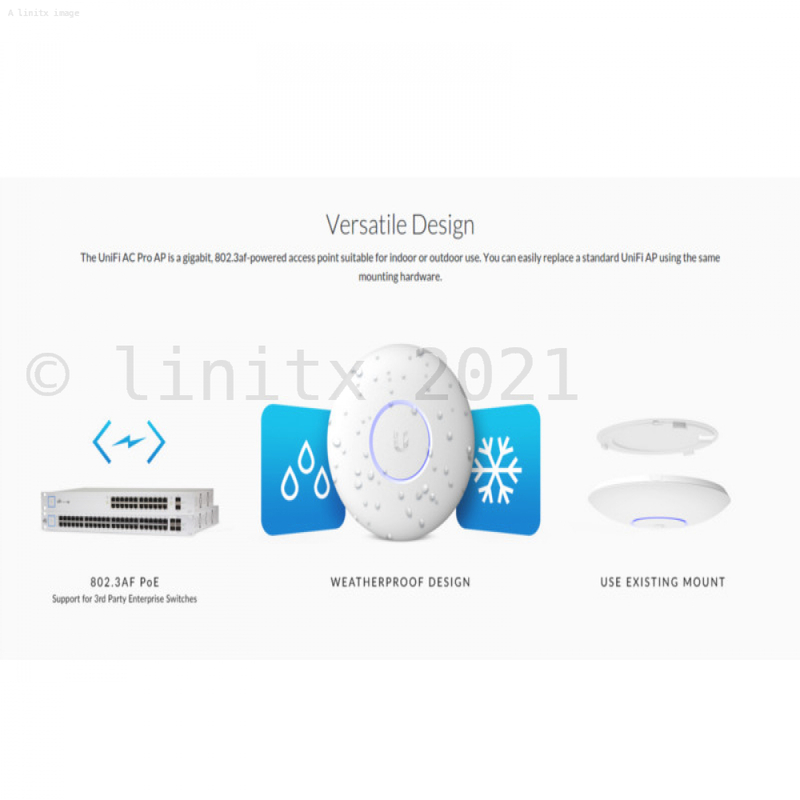 Not only does this wireless access point offer dual band connectivity, but also the latest in 802.11ac wireless networking standard as well as a 3x3 dBI antenna configuration, offering up to 1300 Mbps connection speeds on the 5GHz band. 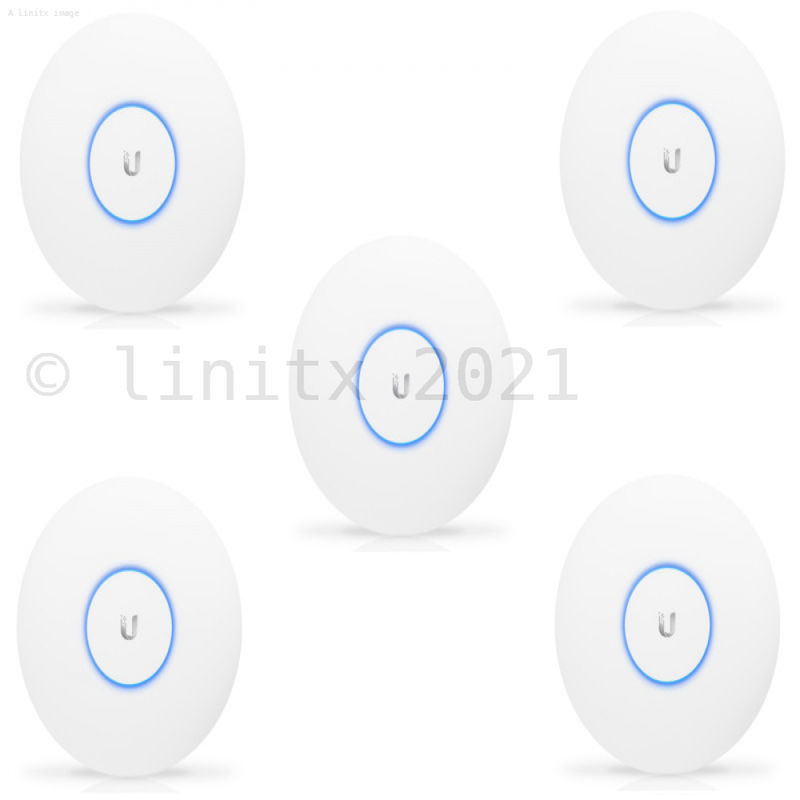 LinITX offers this 5 pack of Unifi Pro Wireless Access Points (UAP-AC-PRO-5) or for single units (without PoE injectors) we offer the newly upgraded UAP-AC-PRO-E, which can be found on our product page � Ubiquiti Unifi AC Pro AP Wireless Access Point (new model). 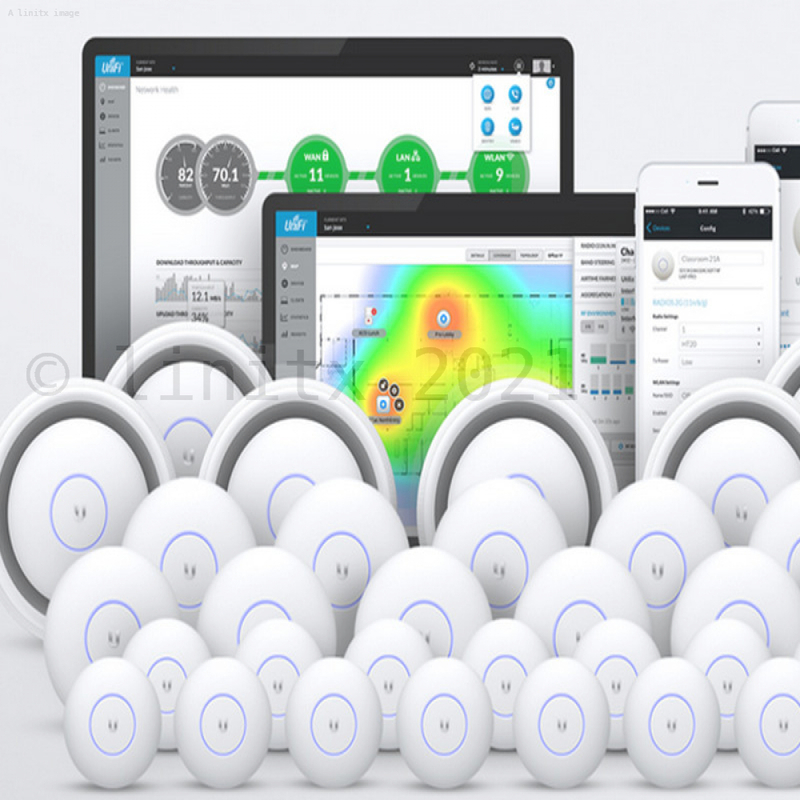 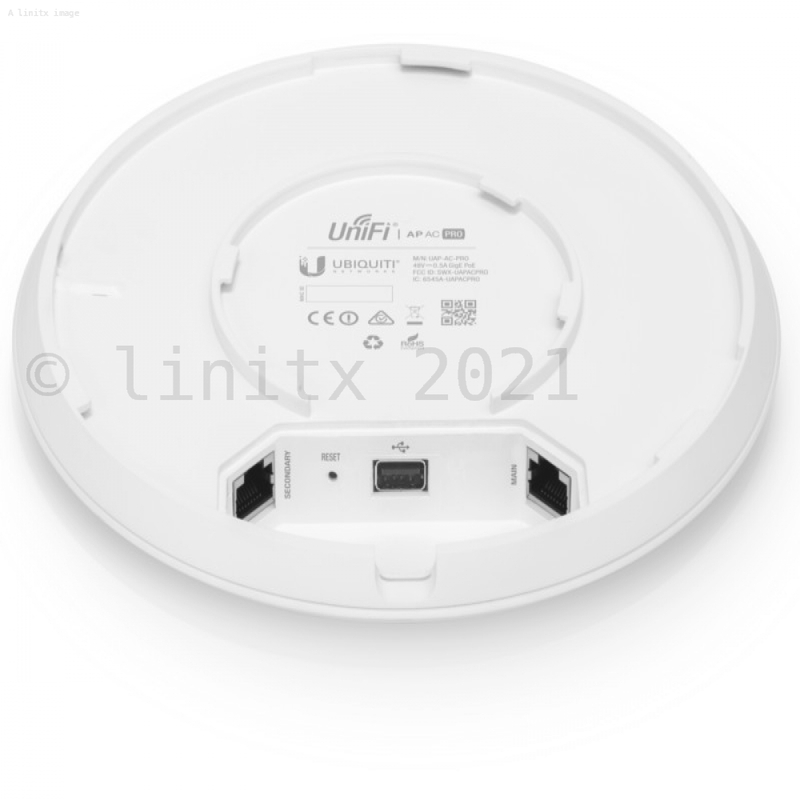 The Unifi UAP AC Pro wireless access point simultaneously supports old and new generation wireless devices by offering dual-band operation with 3x3 MIMO technology for each band; this includes legacy support for 2.4Ghz 802.11g/n up to the latest 802.11ac, which provides greater connectivity speed for compatible devices. 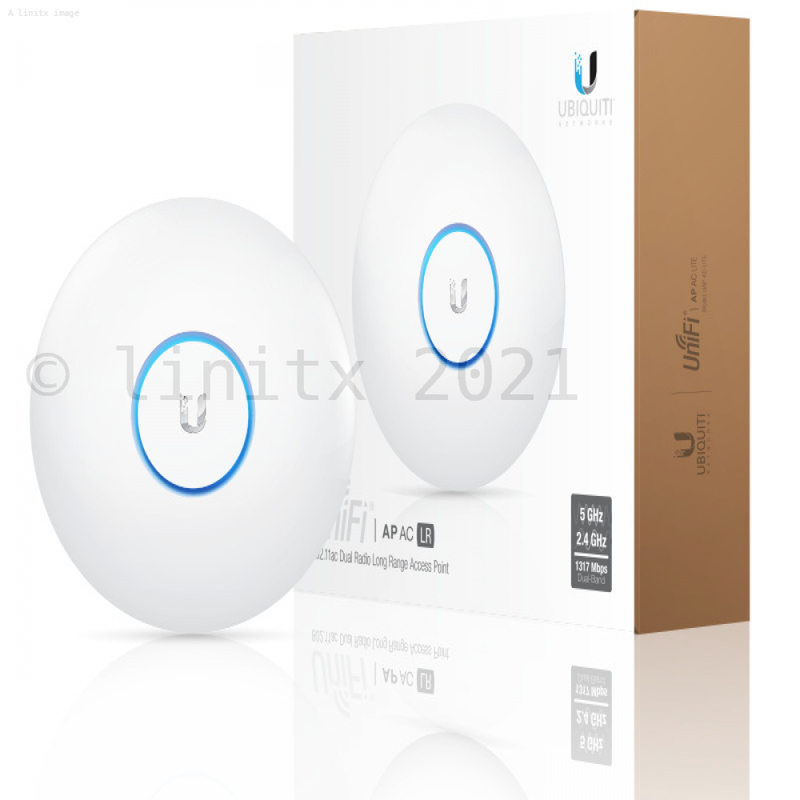 The UAP-AC-PRO has a range of up to 125m (400 ft) and 2 matching Gigabit Ethernet ports. 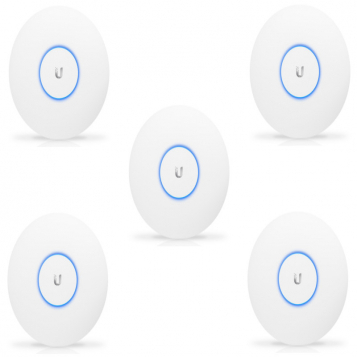 Good value pack for larger deployments. 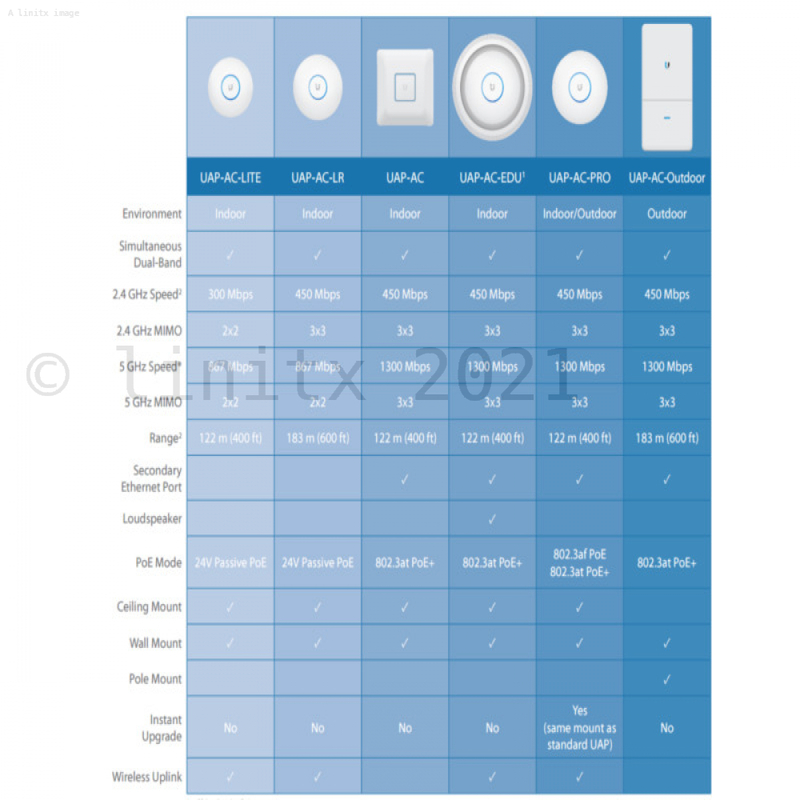 Excellent APs, lots of support online, very easy to install! 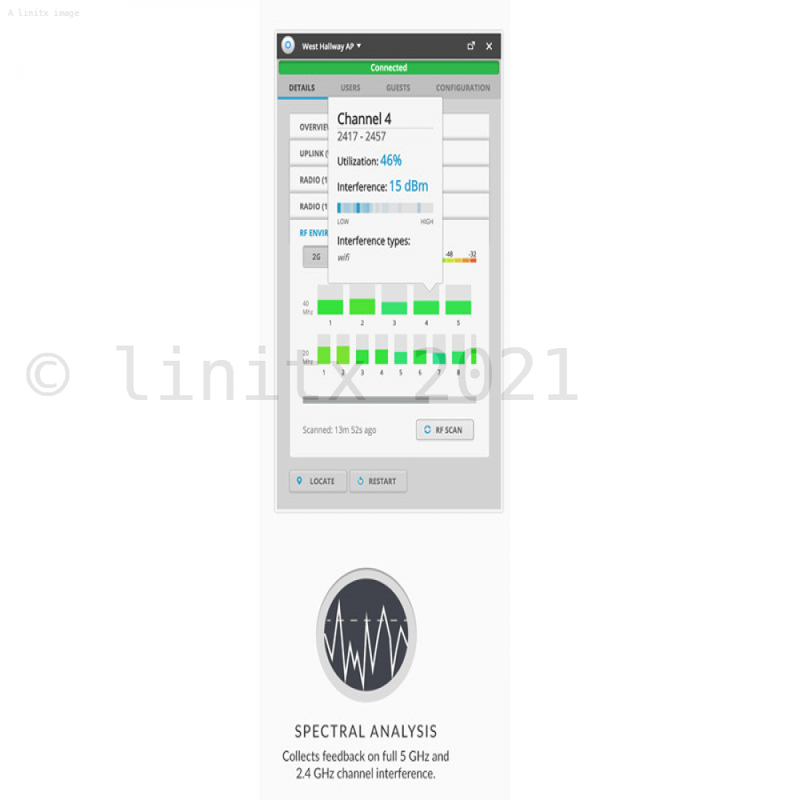 Decent APs and word well - a little fiddly to install though complete instrutions are provided. 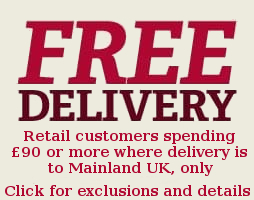 I would definitly recommend them at this price point.